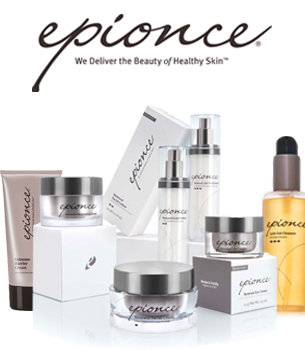 The Epionce skincare line was developed by dermatologist Carl Thornfeldt, M.D. Two decades of skin research allowed Dr. Thornfeldt to uncover the two essential principles related to the signs of aging and disease of the skin: chronic inflammation and a damaged skin barrier. Because most products on the market had irritating side effects, Dr. Thornfeldt wanted to create a product line that treated many different kinds of skin and many different skin conditions. He chose botanical ingredients for safe, multi-factorial solutions of the Epionce line. DrSkinSpa.com is an Authorized Retailer of Epionce. All Products are Guaranteed Authentic & Fresh. If you want to have healthy looking skin that virtually vibrates with beauty, you work from the inside out. Epionce combats wrinkles with anti ageing products rooted in science that work by restoring the health of your skin to repair and enliven the damage that may have already begun or can still be turned around in time. The family of Epionce ageing cream products was the brainchild of dermatologist Carl R. Thornfeldt, who founded Episciences, Inc. Dr. Thornfeldt conducted years of clinical research in skin care innovations. He discovered that the key to beautiful skin laid in keeping the skin barrier healthy while holding inflammation at bay. Epionce anti ageing products for the skin are all about keeping you in good health. 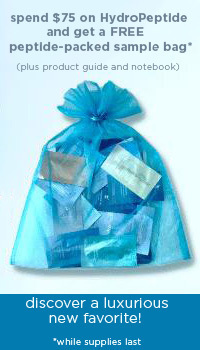 Epionice’s products are able to penetrate the skin’s layers where treatment is really needed. Only natural, botanically derived ingredients are used to accomplish this goal. In this way, the skin functions more productively, the protective skin barrier is restored, and harmful inflammation is reduced, healing skin that may already be badly damaged. The Epionce System is a unique way of discovering how best to keep your skin healthy and protected by using the most effective ageing cream and other products customized to your individualized needs. First determine your skin type. From there, the best skin care regimen can be customized via the Epionce System of anti ageing products. Cleansing the skin is of utmost importance at Epionce. The Cleanse & Prepare products unclog the skin of toxins and prepare the skin for treatment without disrupting the protective barrier. The Lytic Gel Cleanser, for instance, is great for combination or problematic oily skin types as it cleans out the pores of excess oils, relieving conditions such as acne, eczema, and other issues. Epionce achieves results with only all natural ingredients, in this case using willow bark extract, menthol, date fruit extract, and marshmallow extract. Next, Epionce’s Correct & Boost Products come into play. Here is where those wrinkles, lines, age spots, and pigmentation problems are solved. If you suffer from acne, dermatitis, rosacea, or psoriasis, the lytic Correct & Boost ageing cream products from Epionce are perfect healing solutions. MelanoLyte TX will eliminate hyperpigmentation without damaging the skin barrier. It contains effective, yet natural ingredients such as white water lily, licorice root, peppermint, and mallow. Very important in the realm of Epionce’s anti ageing products is the Renew & Fortify step in the system. This is where fortification and repair of the cellular damage within the skin’s layer are performed. The Epionce Intensive Nourishing Cream is a double-acting ageing cream for renewed youth. Ursolisome is a liposome that firms the skin and increases collagen production, reducing wrinkles and renewing skin damaged by UV radiation. Add Epionce’s Date/Apple Complex, Potato-derived and Yeast Peptides, Flax Complex and Rose Hip/Safflower/Avocado Complex to this ageing cream and a surefire skin strengthener, wrinkle fighter has been discovered. The Epionce System also includes a Protect & Prevent, Post Treatment Care, and Professional Use line of effective anti ageing products, utilizing all natural, clinically tested ingredients that provide excellent results.